Thousands of people attended the funeral of Antoine-Laurent de Lavoisier in August 1796. Men dressed in black, women in white, and a hundred-strong choir paid tribute to the father of modern chemistry in a public event organized by the Lycée des Arts. The entrance to the Lycée was draped with a banner that read, “A l’immortel Lavoisier” — “To the immortal Lavoisier.” Every pillar bore a shield which briefly named Lavoisier’s scientific discoveries. 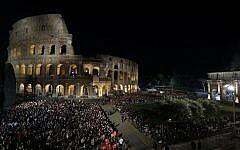 It was a tremendous, awe-inspiring occasion. The only thing missing from the funeral was the body of Lavoisier himself. He had been executed on the guillotine two years earlier, on May 8, 1794, and his body thrown into a mass grave, which made it impossible to inter him in the memorial prepared for him. 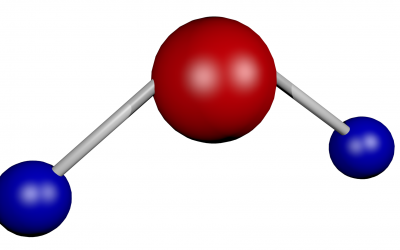 Lavoisier was the first person to identify and name oxygen. He also demonstrated that oxygen combined with carbon during combustion, putting an end to the phlogiston theory. He compiled the first list of elements in the periodic table and predicted the existence of silicon. He helped construct the metric system and demonstrated that although matter can change its shape and form, it always retains the same mass. 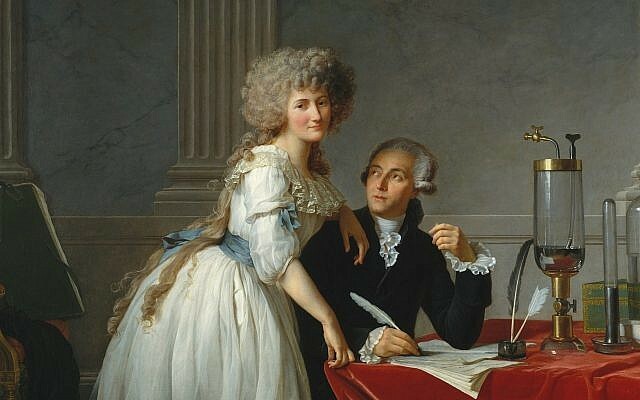 When he was 28, Lavoisier married the 13-year-old Marie-Anne Pierrette Paulze, who supported his scientific work by translating books from other languages, transcribing her husband’s results, helping him in the laboratory and creating the sketches and engravings of the equipment he used. It is possible that she contributed a lot more to the world of chemistry than she is given credit for. Another of Lavoisier’s achievements was to demonstrate that water could be divided into its component elements of hydrogen and oxygen. 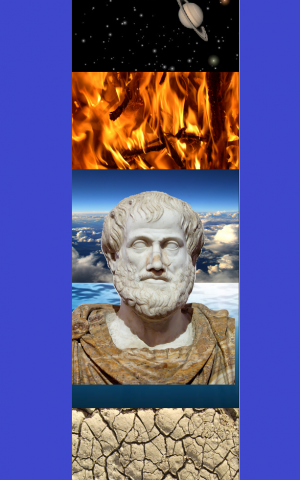 For thousands of years, since at least the 5th century BCE, when Empedocles of Acragas came up with the four elements, water was considered to be indivisible. This view was adopted by most of the later Greek philosophers including Plato, Socrates and Aristotle. It was not only the Greeks. The Jews also believed that dividing water required a miracle. 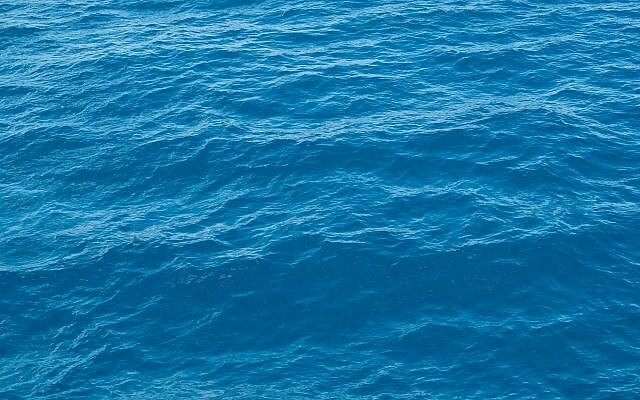 On the first day of creation, the Torah states that God created the world which was made entirely of water — “The spirit of God hovered over the waters,” (Genesis 1:2). On the second day, God demonstrated His power by miraculously dividing the waters. And on the third day, God set limits for the water and separated the water from the land. Splitting water was something only God could do. The greatest miracle described in the Torah when the Israelites left Egypt is the splitting of the Red Sea. In the Haggadah of Passover, we read that whereas the 10 plagues God brought upon the Egyptians were described as “the finger of God” about the splitting of the sea the verse states, “Israel saw the great hand that God wrought against Egypt,” (Exodus 14:31). Furthermore, the savior who took the Israelites out of Egypt was named Moses, meaning “he was drawn from the water,” (Exodus 2:10). The leader who miraculously led the Israelites from slavery has a name indicating his miraculous nature. The divine ability to divide water was the clearest sign of God’s awesome power. Jethro came to join the Israelites after hearing about the splitting of the sea. When the spies came into Canaan after 40 years, they met Rahab who wanted to join the Israelites because she had heard of the splitting of the sea. So when Lavoisier demonstrated that water was made of two hydrogen atoms coupled with a single oxygen atom, he was not only inventing chemistry but also overturning a theological and philosophical principle that had lasted for thousands of years. 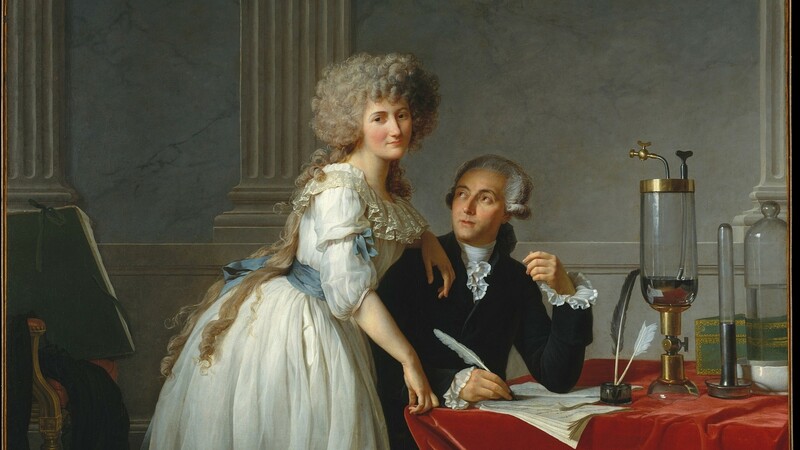 In addition to his groundbreaking advances in chemistry, Lavoisier was also an advocate for social reform and dedicated a lot of his time to benefiting the general public, and especially the lower classes. He advocated for urban street lighting to improve the quality of life for Paris residents, worked on plans to improve the water and air quality for the city. He suggested improved hygiene and living conditions for prisoners and offered advice on how to reconstruct the Hôtel-Dieu hospital to allow for better ventilation and clean air. He opened laboratories throughout France so that other aspiring scientists could develop their research. However, his downfall came from a wall. Lavoisier came from an aristocratic background and supported his scientific work from his investment in the Ferme générale (General farm), which was a company that advanced the tax revenue to the monarchy in exchange for the right to collect taxes. Between 1784 and 1791 a wall was built around Paris, commissioned by Lavoisier, to enforce the payment of taxes on goods entering the city. The man who divided water and the elements also divided the capital from the rest of France. This did not make him very popular with the general populace. The journalist Jean Paul Marat, who played an important role in the revolution, wrote about Lavoisier’s wall. Lavoisier’s “only claim to public recognition is that he imprisoned Paris by cutting off the fresh air with a wall that cost the poor people 33 million livres…” Marat wrote in a 1792 pamphlet. Parisians hated the wall, because the prices of food, wine and other essential items increased due to the enforcement of tariffs on the imported goods. Anyone caught smuggling goods into Paris to avoid the taxes was tried, and sometimes executed. So during the French Revolution Lavoisier was himself arrested and then put to death, primarily for his role in cutting Paris off from the rest of France. 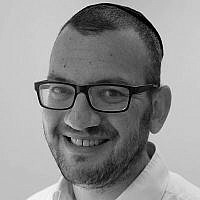 The concept of separation and exiling people outside the wall, dividing those who are inside from those who are out, is an important theme in last week’s and this week’s Torah readings. This week’s portion begins with the purification process for metzora — a person afflicted with a skin disease known as tzora’at. According to the rabbis of the Talmud, this disease is caused by antisocial behavior. The priest leaves the camp to visit the metzora, who has been exiled, to examine whether his disease has healed. Then the metzora undergoes a purification ceremony and only then may return to the encampment. 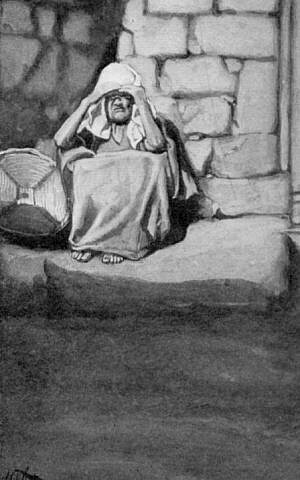 In later years, when there was no encampment of the entire nation, a metzora was sent outside the city walls until he was healed and purified. We hear of three metzora’im in the Haftorah normally read with this week’s portion (though not this year due to Shabbat Hagadol). These three exiles became the saviors of the nation when they were the first to discover that the enemy had fled during the night. But they remained outsiders nonetheless. In ancient times city walls were important for defense. But equally importantly, they served to symbolically cut off the city from the rest of the world. A wall demonstrated the independence and status of the community living within the wall. 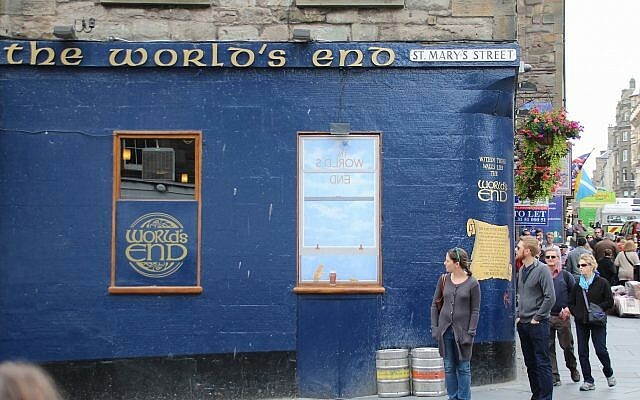 On Edinburgh’s Royal Mile there is a pub called “The World’s End.” It sits near the corner where High Street becomes Canongate. The outside wall of the 16th-century building was part of the Flodden Wall, built after the death of King James IV in 1513 to protect the city from an English invasion that never came. The pub marks the end of the rest of the world, showing the division between those inside Edinburgh and everyone else. In Judaism, those living in a walled city have certain different laws than those living in open spaces. We notice this on Purim, when those living inside (or near) walled cities celebrate Shushan Purim a day after everyone else. 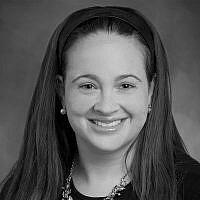 But the rules of selling and purchasing property, inheriting or placing a lien on land, are also different for those living inside the city and those on the outside. The Torah’s rules for exclusion of certain people from the camp or from the city creates a clear separation between “us” and “them.” An individual who was formerly “another” now becomes “the other.” In a nomadic desert setting, where walls are impractical and impossible, expelling sinners to the “outside” defined the borders of the Israelite camp, demonstrating it was more like a city and not merely a large collection of people. The metzora marks “the world’s end” for the Israelites encampment or for the city. Only by having people outside and everyone else be an insider. 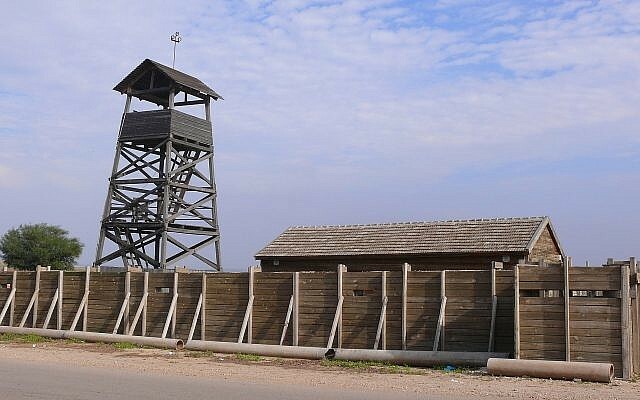 During the British Mandate period, many kibbutzim and settlements were established by building a tower with a surrounding wall. 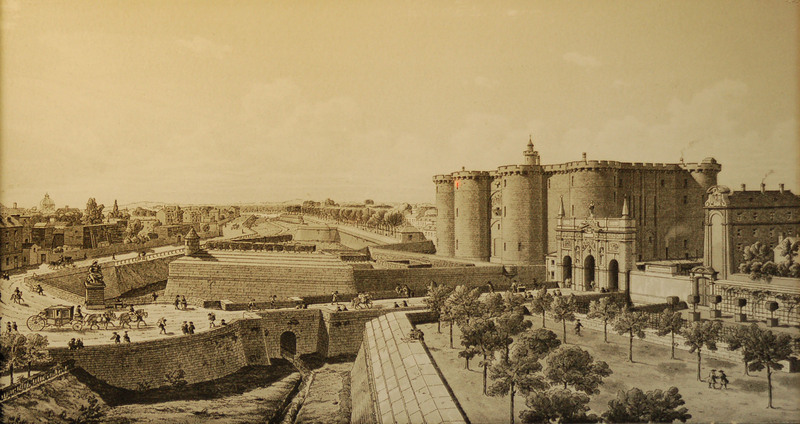 Due to a loophole in Ottoman law, still in place at the time, once the wall was completed the new town could not be dismantled. This tactic allowed Jews to claim land that had already been officially purchased by the JNF-KKL. Some 57 kibbutzim and moshavim were established between 1936 and 1939 by putting up a wall. Most modern cities do not have walls surrounding them. The economy of the past couple of hundred years is not based on keeping people out, but on encouraging them to come in and do business within the city. Outsiders no longer tried to conquer cities by force, but preferred to join in the hustle and bustle of making money within the city. And gradually, as the walls disappeared, city dwellers left the confines of the city for the suburbs. The sharp division between those who are inside the city and those who are outside is mostly a thing of the past, only noticed in property prices, congestion charges and the availability of parking. Just as there are no longer metzora’im, so there are no longer cities in most parts of the world. Villages and towns which once surrounded a city are now absorbed within the greater metropolitan area. The contrast with the Parisian wall which partly triggered the French revolution is striking. Lavoisier’s wall divided those inside the city from those outside in order to collect taxes. Modern society removed the walls in order to create even more taxes. Yet we still object to the billion-dollar multinational corporations who have managed to leave the confines of a physical location almost completely, and earn vast sums of money while paying virtually no taxes. Nowadays, instead of physical walls, we create cultural walls around ourselves. We identify so strongly with our group, our political affiliation or our nation that we separate ourselves from everyone else, keeping the “others” on the outside. The purification process for the metzora is complicated, but it involves among other things immersion in water, and bringing two birds. One is killed and the other is set free outside the camp. Lavoisier divided water, separated the elements and split Paris from the rest of the world. 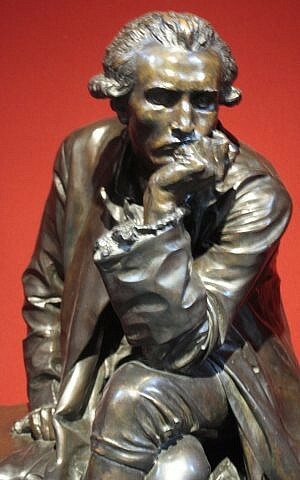 However, his suggestions for social reforms and his scientific discoveries did not save him from the guillotine. The metzora, who divided the community through his antisocial behavior, only rejoins the camp after his disease has healed, showing that he has changed his ways. His reentry into the camp is marked with a purification process involving water to show indivisibility and by sending away a bird, to maintain the division and separation from the outside world.